Overview: Explore the beauty of the Emerald Isle with a jolly jaunt around the hills of Ireland. 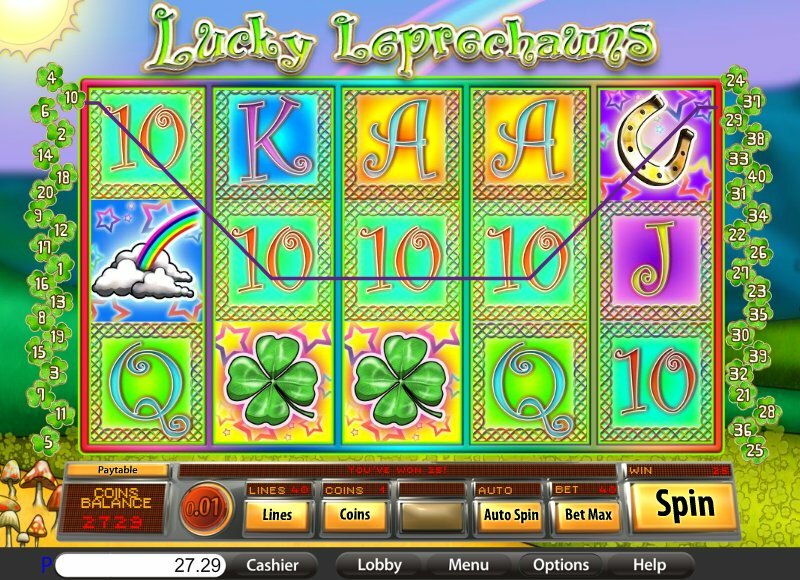 Chase the Lucky Leprechaun to the end of the rainbow and you could find his pot o'gold. Run through fields of four leaf clovers and shamrocks, find the magic harp and use your lucky horse shoe to guide you to the rainbow. WIN UP TO 80,000 COINS AND 15 FREE SPINS ON THIS 10 COIN, 40 LINE VIDEO SLOT THAT FEATURES A RANDOM WILD! 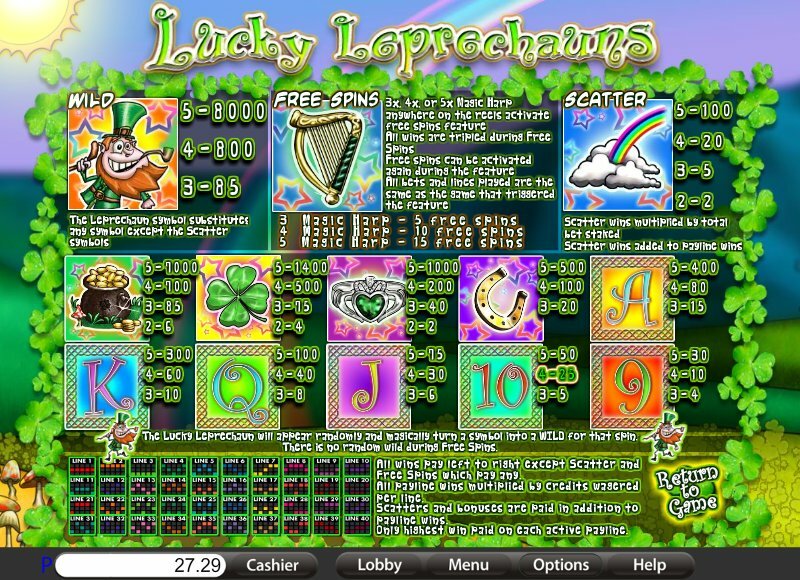 Similar Slots: If you like Lucky Leprechauns, you might like these other slot machines from Saucify: Code 211, Peek Physique, Small Soldiers, Worlds at War.